There’s no shame in wanting to up your workout game, shed some pounds, and get into better shape. But if you’re like most Americans, it’s not just your physical health that could use an overhaul; your financial health probably needs some attention as well. Yet most U.S. adults aren’t nearly as concerned as they should be with how they’re doing financially. Though 60% claim they keep track of how much they exercise they get and 51% regularly check their weight, only 43% stay on top of their credit card balances, according to data from Marcus by Goldman Sachs. And that’s a problem, because if we don’t change our collective attitude, we’ll risk damaging our finances irreparably. How much will that credit card debt cost you? 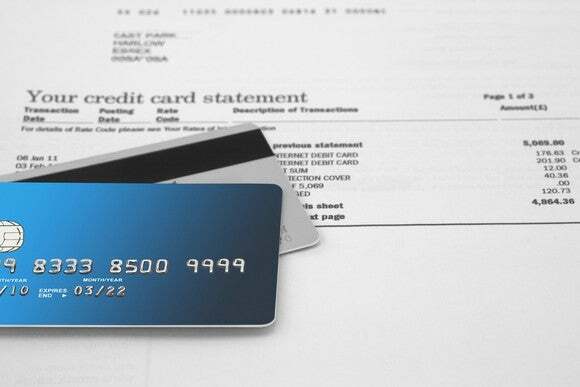 Late last year, U.S. credit card debt reached an all-time high , with the average balance-carrying household owing roughly $16,000. And that’s a whopper of a sum to owe, especially given today’s interest rates. Imagine you’re in the hole for $16,000 on a card charging 20% interest. If it takes you five more years to pay off that sum, you’ll end up throwing away an additional $9,430 — which, incidentally, is a lot more money than most Americans have in the bank . But it’s not just those hefty interest charges you should worry about it — it’s your credit score itself. The more debt you carry, the more likely you are to have an unfavorable credit utilization ratio , which is a number that represents the amount of available credit you’re using at a single time. Any time that ratio climbs above 30%, it can hurt your score, but if you’re sitting on a $16,000 balance, and your total line of credit is $25,000, that puts your personal ratio at 64% — not good. Why does your credit score matter? Basically, any time you need to borrow money, whether in the form of a mortgage, auto loan, or new credit card, your credit score will not only dictate whether you get approved, but the rate you get approved at. And the lower your score, the less favorable a rate you’ll snag. Clearly, neglecting your credit card balance, and its impact on your credit score, can hurt you both immediately and in the long run. So if you’ve been charging up a storm without putting much thought into it, it’s time to change your ways. Credit cards tend to get a bad rap because they lead to debt scenarios that can hurt consumers. But the fact of the matter is that if you use your card wisely, you’ll come out just fine. In fact, in some cases, a credit card can actually help you build credit, provided you make your monthly payments on time. Therefore, if you’re going to make regular credit card purchases, never charge more than you can pay off by the time each bill comes due. And if you do go over that threshold in a given month, pledge to lock your credit cards away until you’ve paid down that balance. Along these lines, log on to your account weekly to see where your balance stands. This is important for a couple of reasons — first, because you want to make sure you’re not charging more than you can pay for, but secondly, you don’t want to risk exceeding your spending limit and having a credit card declined . Now if you’re already deep in credit card debt, you can’t go back in time and erase that mistake. But you can take steps to eliminate that debt as quickly as possible. First, review your various balances and start paying down those with the highest interest rates attached. While you’re doing that, look into a balance transfer , which could allow you to consolidate your various debts onto a single card with a less costly rate. Another option? See if you qualify for a personal loan at a lower rate and use it to pay off your credit card debt. Whether you’re deep in credit card debt or on your way there, don’t make the mistake of paying more attention to your physique than to your finances. Both matters deserve your attention, and if you neglect the former, you’ll wind up doing more damage than a week of cheat meals will. Increasing your credit score above 800 will put you in rare company. So rare that only 1 in 9 Americans can claim they’re members of this elite club. But contrary to popular belief, racking up a high credit score is a lot easier than you may have imagined following 5 simple, disciplined strategies. You’ll find a full rundown of each inside our FREE credit score guide . It’s time to put your financial future first and secure a lifetime of savings by increasing your credit score. Simply click here to claim a copy 5 Simple Tips to Skyrocket Your Credit Score over 800 .